Cargo Infant Short Sleeve Tee Good Choice for Little Kids! This year’s hot summer fashion trends will have your little kids move forward in style. Now there are many hot new trends for little kids to enjoy this summer season. Kids clothing are available in variety it may be hard to try and decided what tee to get for your kids. So let’s chose the best t-shirt of this summer for make sure your little guy is in style. Precious cargo infant short sleeve tee is the best choice for this summer fashion. It’s an America’s favorite casual top size that fits the tiniest family member! Now available in six new colors, the only thing missing is your screen printed or embroidered logo. It s now available in six new colors and created with 4.1-ounce, 100% ring spun combed cotton double-needle hem and sleeves. It’s a large rib neck for easy on/off. Select now Cargo Infant short sleeve tee its comfortable, lightweight and easy fit to your children for giving a cool feeling in hottest summer at wholesale price!! Pinstripe Henley Tee Perfect Summer Wardrobe for your kids!! Notice: This work is licensed under a BY-NC-SA. 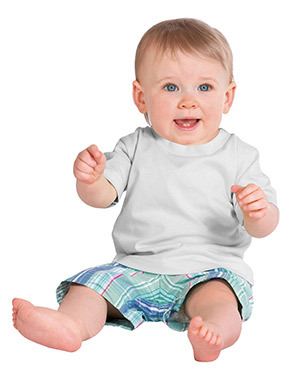 Permalink: Cargo Infant Short Sleeve Tee Good Choice for Little Kids! In the above post there are so many helpful tips that I will try out, thanks. I would like to know if you could mark a slight more on this subject. I would be very satisfying with you could involved a little bit more.